RØDE is at it again. 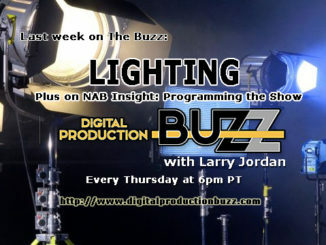 This time focusing on how to get the best audio wirelessly into a mobile device. And by the looks of the compact Wireless Go, everyone is going to be mic’d up no matter where they are. Imagine if RØDE took their successful RØDElink Wireless Filmmaker Kit and shrunk it down to roughly 1/4 it’s size. And then imagine they got rid of the lavalier mics altogether. That’s essentially the RØDE Wireless Go. Measuring only 44mm x 46.4mm x 18.5mm and weighing just 31g, these two tiny little boxes with simple clips, acts as a transmitter that you place on your talent, and the other is the receiver that goes on your camera. And here’s a cool feature … the clips are the same size as a cold shoe, so you can just slide the receiver into your camera or camera cage much like you would another microphone. It’s pretty clever. There’s no need for microphones either, as RØDE has built the lave mic right into the TX unit. 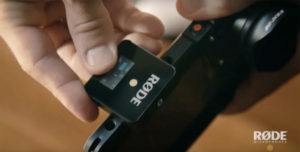 All you do it clip it to your talent and connect wirelessly to the receiver. TRS output can also be configured with a switch to -0dB, -6dB or -12dB, and the signal its kept crystal clear thanks to RØDElink, the encrypted wireless transmission standard that eliminates any congestion over the 2.4ghz band. The range of the Wireless Go system is about 70m line of sight, and the system can work with up to eight different units in a single location. And while there’s no real need for a lav mic, users can opt for it with the built in minijack connector. The result is the perfect solution for mobile filmmakers, vloggers, action athletes and other runners and gunners looking to capture content on the go. 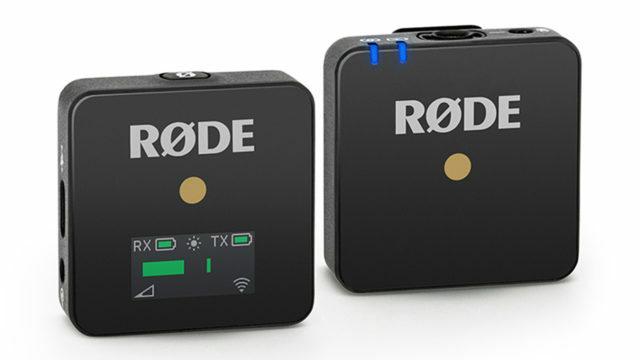 No word on pricing, but the RØDE Wireless Go units will ship later this month. 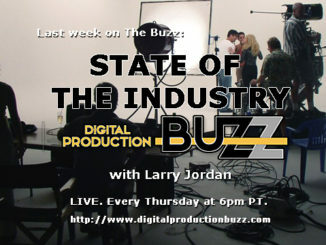 I’ll have hands on with them at NAB, so stay tuned.